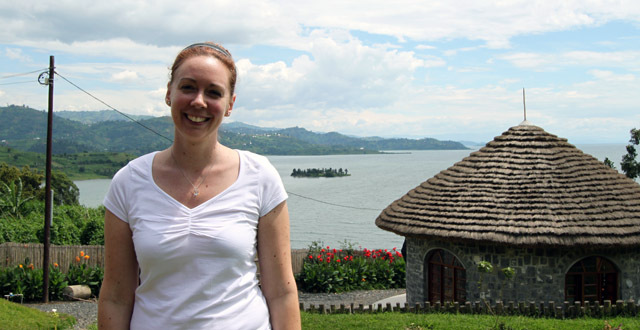 I met Marie-Noelle on a recent trip to Gisenyi and thought she had an interesting story to share. A lot of people have dreams of opening a business abroad and she’s gone and done it! Pretty inspiring stuff, if you ask me. Check out the INZU Lodge website or their Facebook page for more info. I am a French Canadian. I was born in Quebec City but I moved to Montreal as a young adult to study Management and Fashion Design. I also completed a Masters in Communication at Université du Québec à Montreal. After completing my Master’s, I began working as a fundraising event coordinator for several Québec non-profit organizations such as Moisson Montréal and l’Association pulmonaire du Québec. After six years I travelled to Rwanda for the first time. What made you decide to come to Rwanda? I did not decide to travel to Rwanda; life decided for me. In 2009, I applied for an internship with Quebec Sans Frontieres to go to Madagascar but the political situation was unstable; therefore, they decided send us to Rwanda. I was not overjoyed to come to Rwanda because I knew about the genocide that took place in 1994, I landed in Rwanda for the first time in June 2010 and had a wonderful stay. What was it about Rwanda that made you want to live here? I spent ten weeks in Rwanda and completed my internship. 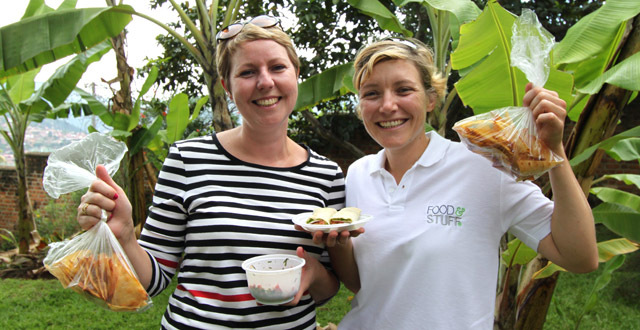 During the internship we travelled within Rwanda and met very friendly and welcoming people. I fell in love with the country of a “thousand hills” and its inhabitants. Rwanda is a beautiful country and Rwandan people are very resilient. Additionally, there is no winter here! I think Rwanda has the best climate in the world. Why did you decide to open a business here? 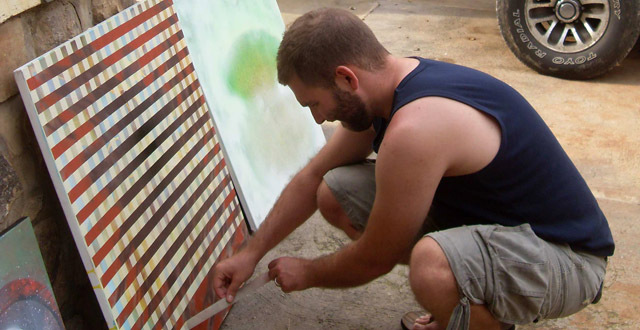 For several years I had been dreaming of opening a business outside of Canada or of working abroad. I thought Rwanda had a lot to offer and it currently has a lot of economic growth. Rwanda is also a country that is developing its tourism and has a lot of interesting sites to visit (for example, tracking gorillas in the Volcanoes National Park, birdwatching and tracking chimpanzees in the Nyungwe National Park, and viewing the wildlife of the savannah in the Akagera National Park). How did you find the process of opening a business in Rwanda? It was quite easy to open a business in Rwanda. The Rwanda Development Board (RDB) helped me complete the necessary forms to allow me to open my business. In Rwanda you can register a business in 24 hours. The RDB has several branches that can assist you with the different needs you might have when you open your business. Why did you choose an eco-lodge as your business? An eco-lodge is a tourist accommodation that operates on the basis that a fair share of the monetary benefits remain in the local host community while respecting the environment. I think that is very important for people who travel around the world to be aware of the impacts they can have on the communities they visit. These impacts can be positive or negative. By staying at an eco-lodge, tourists can reduce their environmental impact and contribute to the development of the local community. Why did you choose Gisenyi as your location? I chose Gisenyi because of Lake Kivu. The eco-lodge has a spectacular view of the lake. Gisenyi is also a town that is close to the Volcanoes National Park (an hour by bus). Do you have any advice for someone hoping to start a similar business in Rwanda? It is important to be patient and to surround one’s self with people you can trust and rely upon. It is also important to find people who can help you better understand the Rwandese culture and language. What do you think about the state of eco-tourism in Rwanda? I feel as though eco-tourism is slowly developing in Rwanda. I think that most people involved in eco-tourism truly believe in the importance of environmental sustainability and the development of the local community. Traveling as an eco-tourist is relatively new; however, it is my opinion that people traveling in this fashion hope to make a difference within the community. What can your guests expect from a stay at your lodge? The INZU lodge presently has 2 safari tents in which you can sleep. However, in the near future there will be 4 tents. Each tent is furnished with a bed, chairs, and a night table. A tent can accommodate two to three people. The INZU lodge has a restaurant. The menu has a variety of options featuring local cuisine (for example, sambasa) and its own original INZU Lodge dishes that are cooked in banana leaves and Western fare. There is also fresh juice, homemade sorbet and homemade desserts. Guests should be aware that a portion of our profits are returned to the local community (the proceeds from the gift shop, restaurant and accommodation). The gift shop has numerous Rwandan souvenirs that have been made by different cooperatives and non-profit organizations within Rwanda. There is also local produce for sale (for example, Rwandan coffee, tea and wine). Do you have any recommendations for things to see and do in Gisenyi? The new activity to do in Gisenyi is the Congo Nile Trail. The trail is 227 km long; the trail follows Lake Kivu and passes through Gisenyi, Kibuye and Cyangugu. You can complete the trail in three different ways (10 walking days, 5 biking days or 3 days with a jeep). The views are spectacular. One can visit tea or coffee plantations from Gisenyi. There is also the opportunity to swim and relax at the Gisenyi Public Beach. There are also the Nyamyumba Hot Springs that can be visited. If you make a request, you can visit the Bralirwa (the largest brewery and beverage company in Rwanda that brews Primus and Mutzig among others). What do you hope for the future of INZU lodge? In the future, my goal is to develop the eco-lodge by building traditional, royal Rwandese huts (the huts that the King of Rwanda used to inhabit like those found at the Nyanza Museum). I hope that the projects with the community will allow the local people to benefit from tourism and allow for a relationship between the Rwandese people and foreigners to be built. I was amazed at the idea Marie-Noelle had and how she has turned it into a business strategy in working element. I am a Kenyan citizen and have always wanted to do something in Rwanda, in terms of a Holiday and business too. I feel, such entrepreneurial qualities in Marie-Noelle should be exhibited by more people.